vista internet security pro 2013.exe is a process that is registered in our malware database as VistaInternetSecurityPro2013. 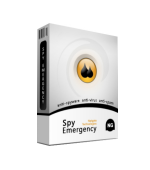 VistaInternetSecurityPro2013 is a Potentially Unwanted Software. A common category for potentially unwanted software for the user. To determine whether this file is a real threat or not, please run a malware scan. Deactivate and eliminate vista internet security pro 2013.exe immediately. This process is commonly identified as a spyware, virus or trojan. 3, When the scan is finished, press the Next button and Remove button to clean VistaInternetSecurityPro2013 Potentially Unwanted Software from your system.